Let’s dig a little deeper into the root cause of the fear and loathing that so often seems to accompany sales. Some people seem born to sell. They enjoy the challenge, the meritocracy of the numbers, the feeling of controlling their destiny, and the social interaction that comes with sales. They like selling, and they are good at it. But that isn’t true if you’re a professional who sells services. If you’re a management consultant, accountant, lawyer, human resources professional, financial planner, or technology consultant, let me ask you a question: did you set out early in your career with the goal of being a salesperson? No? That’s what I thought. The biggest difference between professional services salespeople and other salespeople is the former’s general distaste for selling. Fear and loathing is often not too strong a phrase. A professional is generally hired, trained, rewarded, and promoted for subject matter mastery. Up to a point, that is. At some point, like a cruel joke, they are “rewarded” with the additional responsibility of selling. Little wonder, then, that the word “sell” is a four-letter word in the professions; most firms prefer the euphemism “business development,” conveniently phrased in the passive voice. After all, they reason, clients buy from us because of the quality of our work. Our sales strategy is to aggressively wait for the phone to ring. Fear of sales runs deep, yet few professionals can really succeed without confronting and overcoming their apprehension. And so people who thought they had chosen cold hard data and logic as their career end up having to self-psychologize to remain effective—yet another distasteful venture for a content lover. Most professionals were attracted by the intellectual aspects of their career. They were bright, with good minds, and the professions worship intellectual achievement. Since clients are often from the same profession, both buyers and sellers share the same delusion—people buy solely through a process of rational decision making. No self-respecting in-house counsel or vice president of strategy would admit to hiring an external advisor based on vague criteria like trust or chemistry. And so both parties contribute to the myth that services them both: clients buy value propositions, packages that deliver positive net present value, and providers who make the best business case. If one firm loses, they can feel secure that it was probably not their fault—it was just price. And price is the easiest reason for the client to give to the also-rans. The delusion continues. To contemplate that things don’t work this way is a threatening idea to professionals. It suggests clients aren’t buying their expertise, but their personalities—which feels unfair and rather scary. Since the seller is often the deliverer, it suggests that rejection is far more personal than it is for the seller of a widget. Finally, to lose is the ultimate failure. It means your expertise, the thing you have prized all your life, just wasn’t good enough. And by extension, neither were you. No wonder professionals loathe the need to sell. Unfortunately, the sales world is all too full of salespeople willing to teach professionals how to sell. They and their professional clients buy into yet another myth: the idea that sales is sales and best practices cut across all industries. And so sales programs that teach closing techniques to manufacturer reps and clothing suppliers founder when they try to close chief financial officers. What’s true of closing is also true of sales cycles, CRM systems, pipeline analyses, and sales efficiency programs. What works in “regular” businesses falls flat in professional services, and it accentuates the already bad taste in the mouth for selling. This deep psychological aversion to selling cannot be overcome by behaviors, tips, techniques, processes, and tools alone. It must be addressed at the mindset level. While you can partly act your way into right thinking, in the fog-sculpting world of professional services, you must also think your way into right acting. It starts with re-conceiving the very purpose of selling. In the professions, we need a very different purpose—that of client service. By this view, the purpose of selling is to make the client better. The sale is not the goal; the sale is a byproduct of successfully helping the client improve. The sale is an indicator, not an objective. Taking this definition seriously has serious implications. It means transactional selling is all wrong—transactions are just points along the way of a relationship. It means we don’t compete with our clients—we collaborate with them. It means our timeframe must be long, not short. Most of all, it means we don’t sell by selling. We sell by successfully helping the client to see new possibilities and trusting that the clients we help will, with predictable regularity, prefer to do business with us. It means detaching from the outcome of the transaction and trusting in a broader pattern of human behavior. If that sounds like selling based on trust, that’s exactly right. It’s the same powerful dynamic recognized in concepts such as customer loyalty. 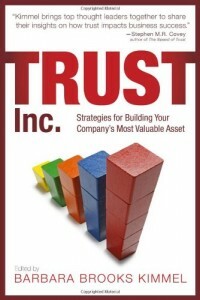 The economics of trust are compelling. Perhaps best of all, though, is the message this viewpoint offers the professional. Rightly conceived, the only difference between selling and delivering is getting paid. When we think of sales that way, the fear and loathing can slip away—we are all comfortable with client service as a model for delivery. Selling is the same: the right way to sell professional services is to aggressively do good, and then, at the right time, ask to be (well) paid for doing so. That view of selling isn’t to be feared. It’s a view we can feel good about, while generating a powerful business model at the same time. 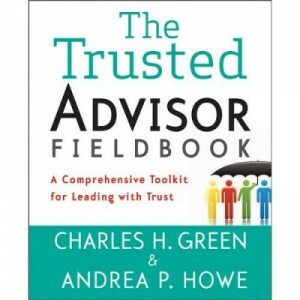 Are You Worthy Of Your Clients’ Trust?